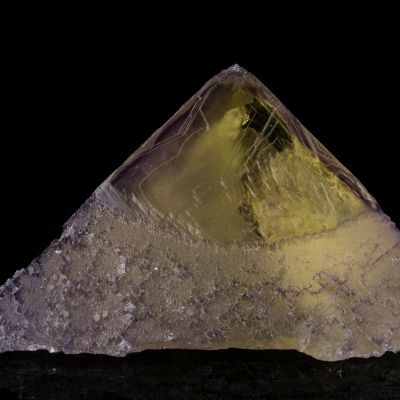 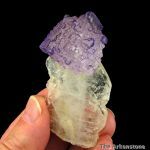 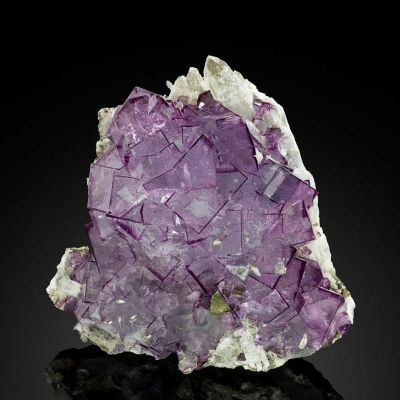 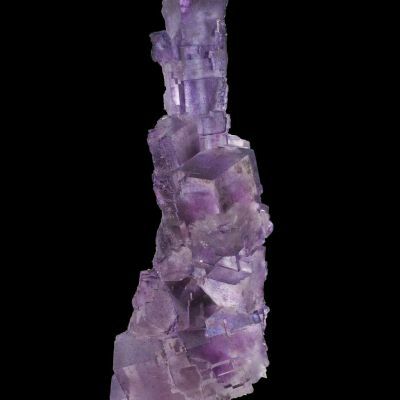 Aesthetically perched on a sharp "sword" of clear-to-white Celestine is a single cube of lustrous, and mostly gemmy, purple Fluorite. 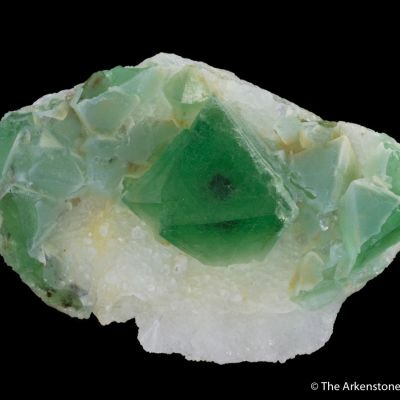 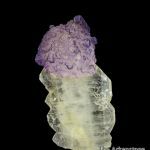 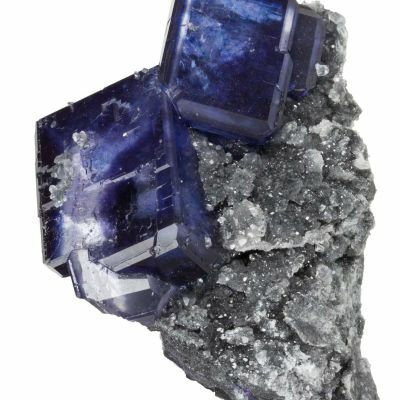 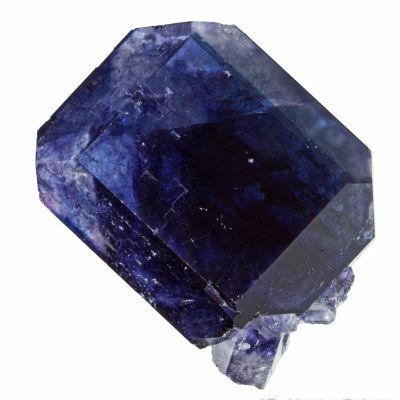 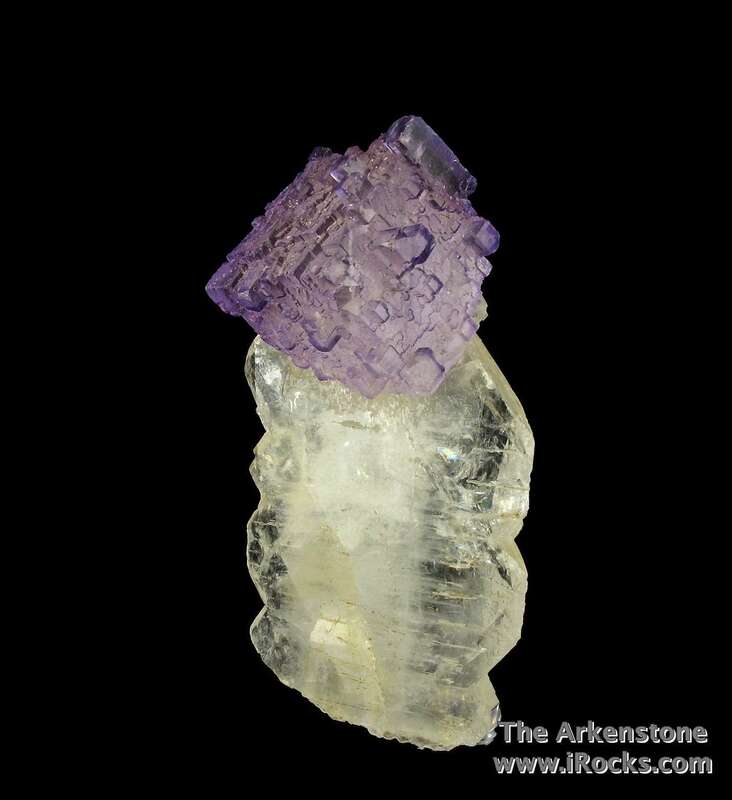 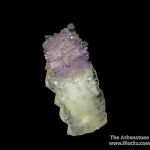 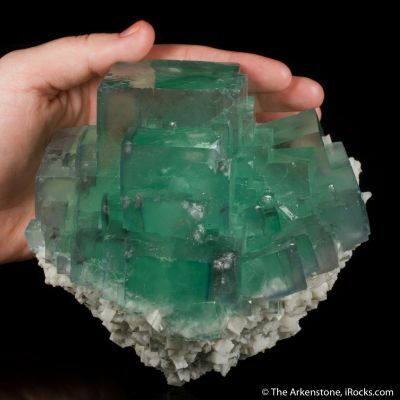 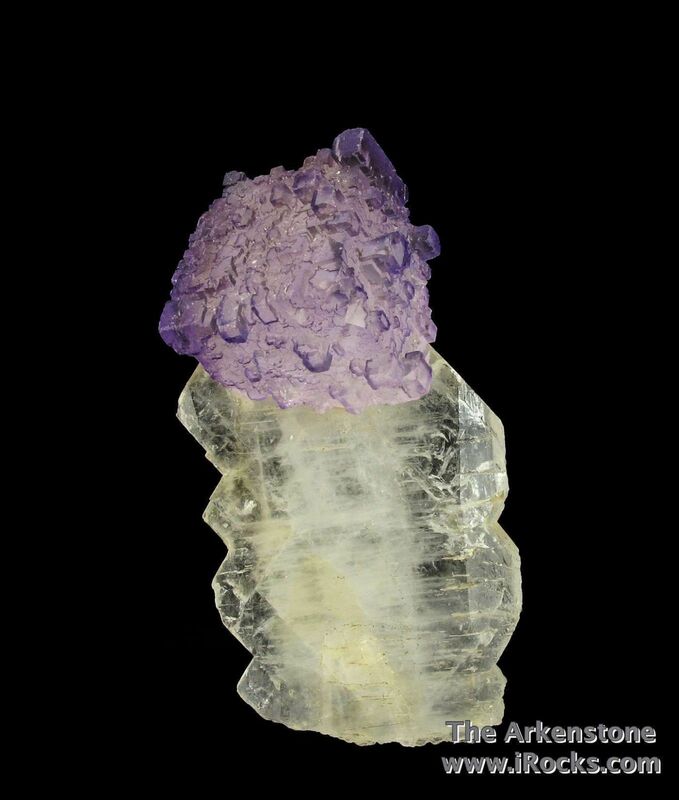 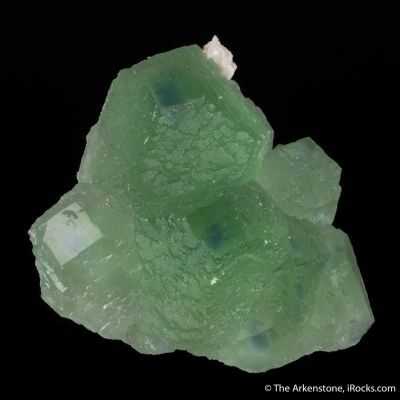 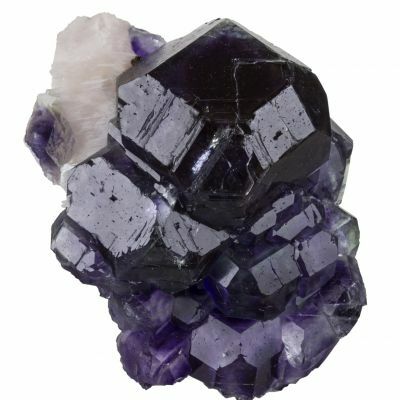 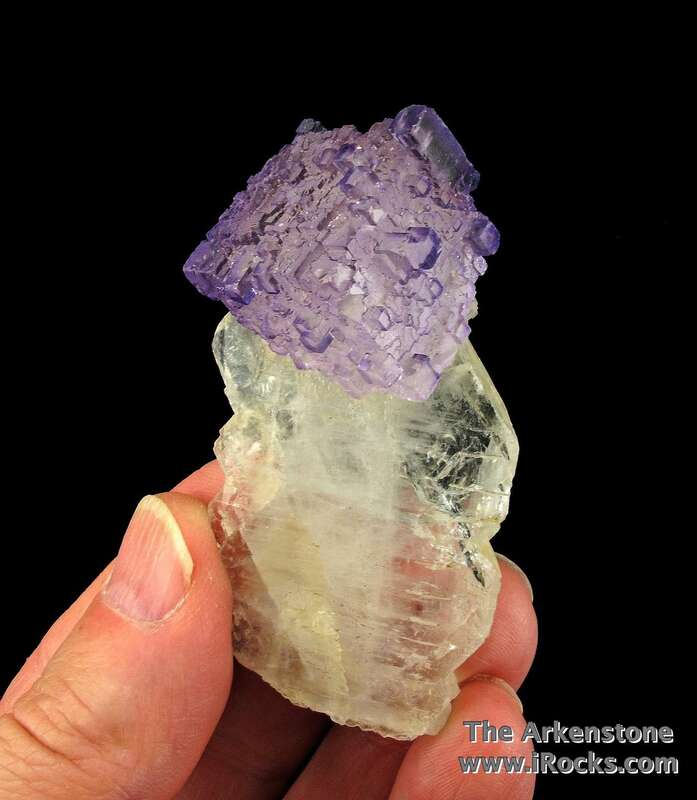 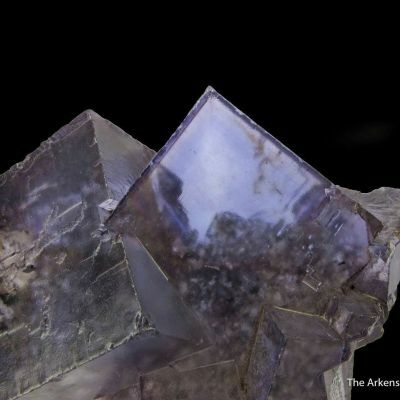 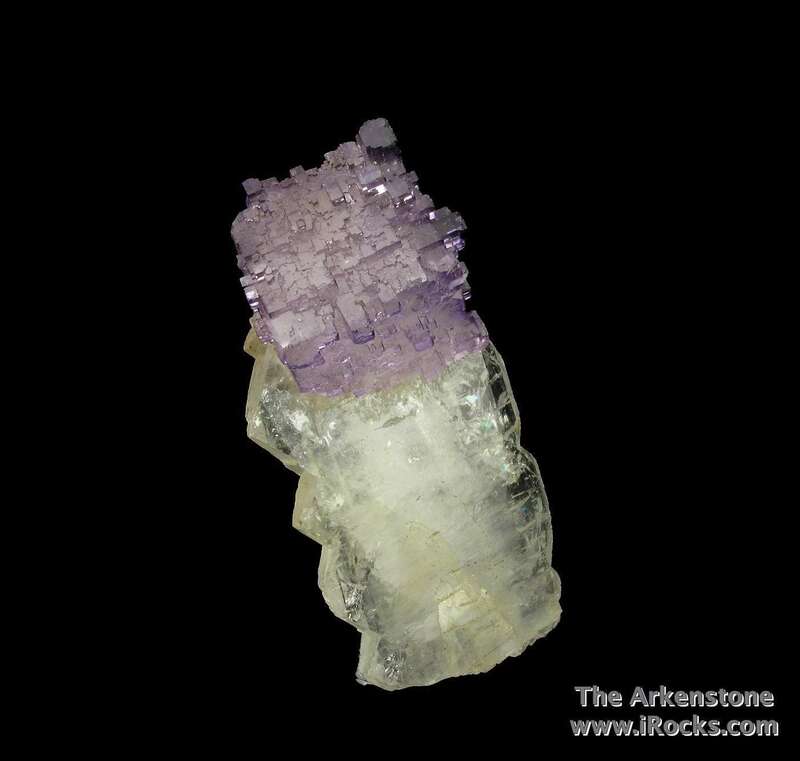 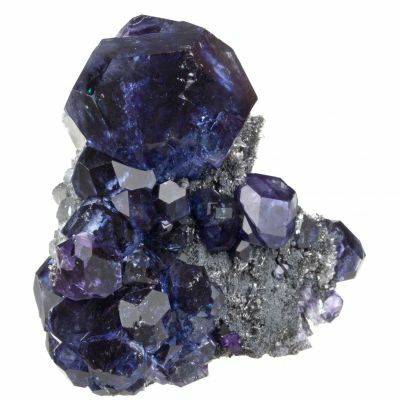 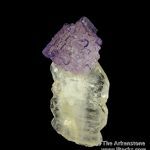 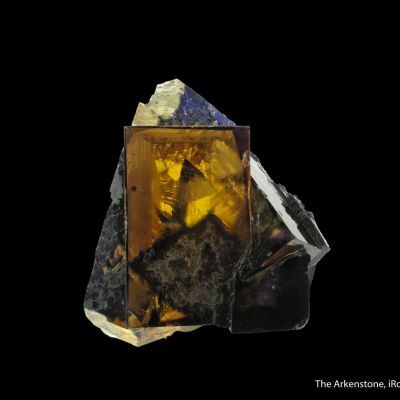 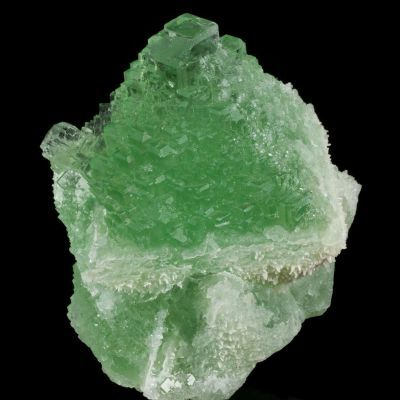 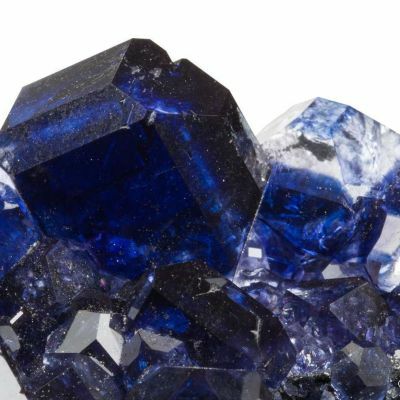 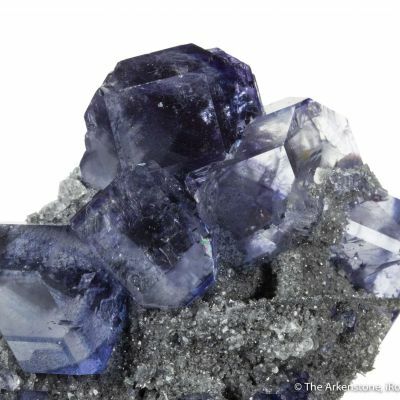 The Fluorite is slightly over 2 cm, and it has classic stepped-growth faces so recognizable from Muzquiz. 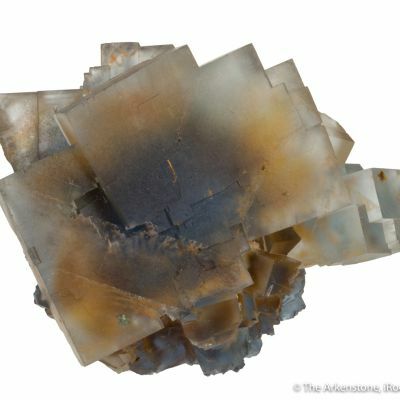 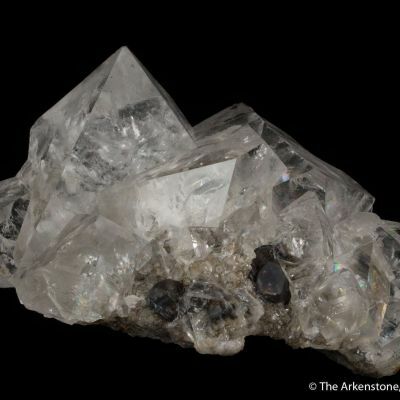 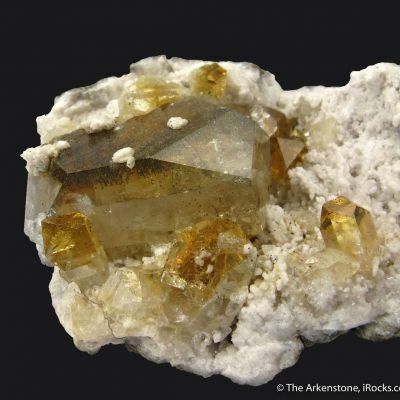 The Celestine is especially well-formed, with sharp, gemmy, and lustrous faces along each edge of the bladed crystal. 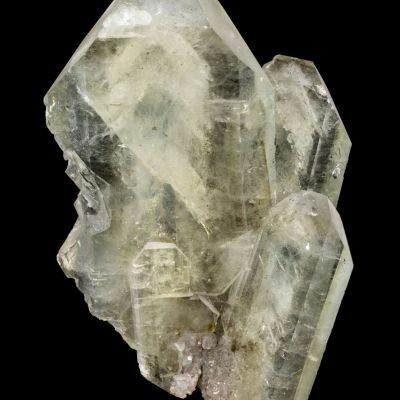 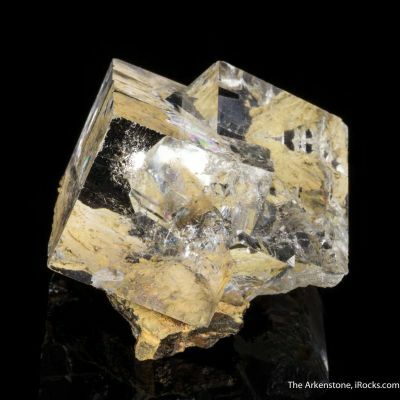 This piece is exceptional for several reasons: the stark sharpness and quality of the Celestine, as well as the overall first-class aesthetics of this famous combination from the old mining here in the 1960s or early 1970s.